Christopher is a Master of Finance Student in the class of 2018. In 2017 he took part in the Valuation Olympiad. With the aim to implement recently learned valuation and modelling skills in a practical environment and to compete with students from around the world Thorben Post, Torben Nagel, Felipe Omar Francis Nereira and I formed a team to participate at the Valuation Olympiad in early April. By preparing with questions similar to a technical interview in investment banking, we successfully conquered the first step on our way to London. The test itself covered questions on a large variety of corporate finance, accounting and valuation related topics. The by far largest workload arose in the second stage. Immediately after our exam week, we met and chose a target and a buyer for our M&A case study. We opted for two promising companies in the pharma industry that offered a solid M&A case from both perspectives, a fundamental and temporal dimension. From there onwards, we used every available time slot, after work and on the weekend, to prepare an investment memorandum and financial models (DCF with various terminal value methods, comparables, accretion/dilution analysis). Furthermore, we strove for add-ons serving as the winning edge based on our work experience and research. An equally important success factor was our strict time management and the division of the tasks based on our individual strengths. We were utterly excited to participate in the final in London. Full with joy and hope, we prepared a 20-minute pitch based on the investment memorandum and our analysis. Then, we had to present our case in front of selected individuals from the Global Banking School and Greensea Capital. Finally, we were informed that we won the Valuation Olympiad a week later. In retrospective, this competition enriched us with valuables insights into financial modelling, and I can truly say that it was a blessing working with such an ambitious yet cheerful team. Lastly, we highly appreciate the academic and financial support Frankfurt School provided us with along the way. 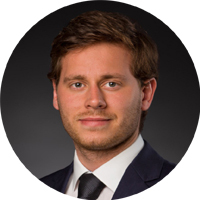 Torben is a Master of Finance student in the class of 2018 and a member of the winning team of the 6th Global Valuation Olympiad. 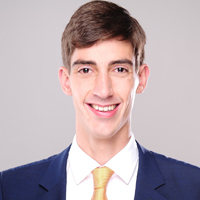 Felipe is a Master of Finance student in the class of 2018 and a member of the winning team of the 6th Global Valuation Olympiad. 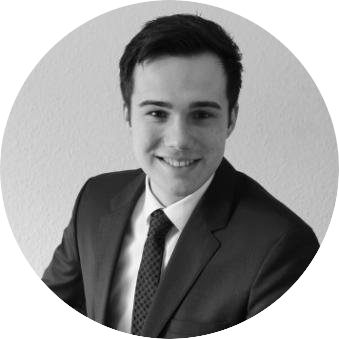 Thorben is a Master of Finance student in the class of 2018 and a member of the winning team of the 6th Global Valuation Olympiad.